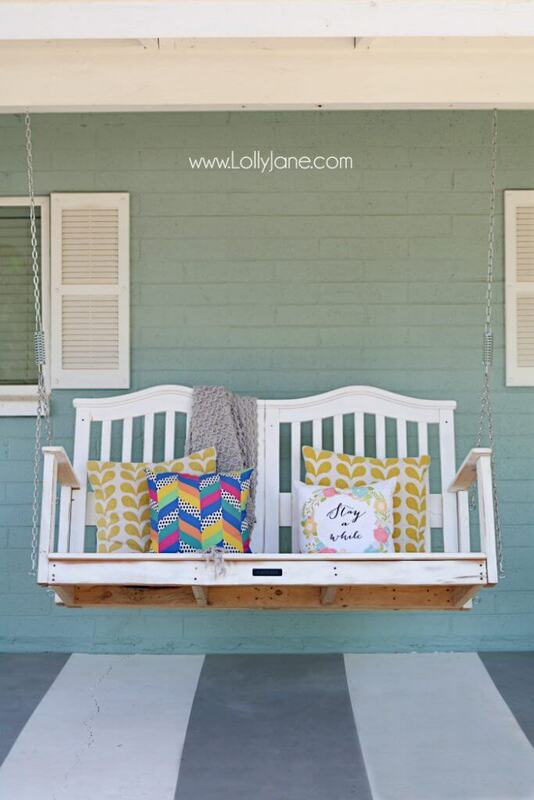 Summer’s coming! 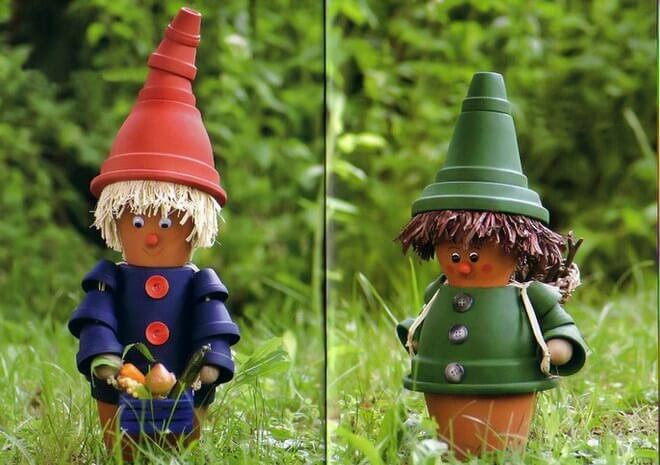 Time for gardening and some outdoor R&R. 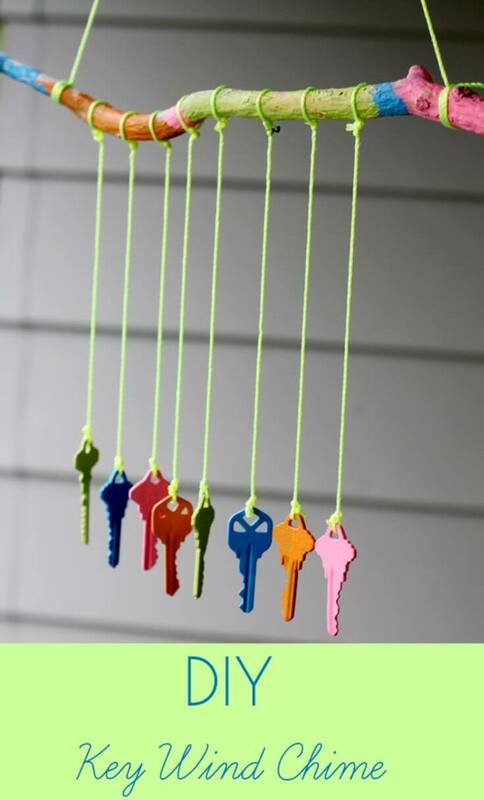 It’s also time to decorate! 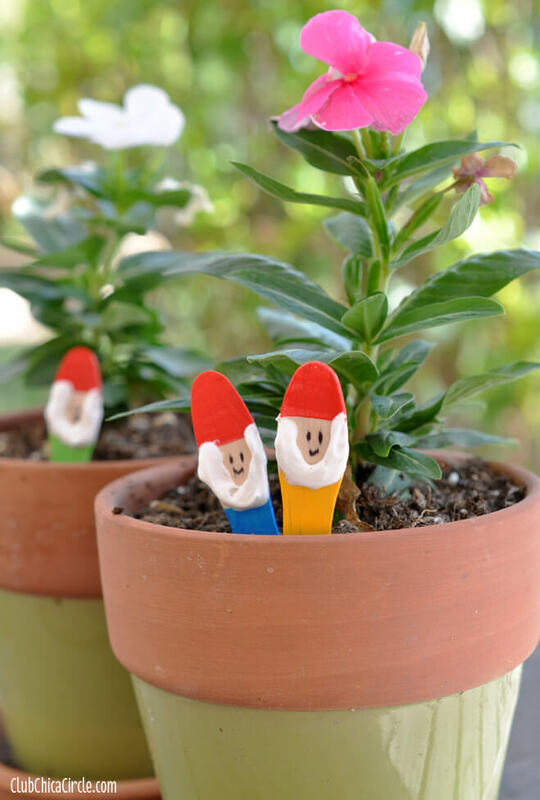 Get out your paint brushes and flower pots and get ready to create a wonderland with these DIY painted garden decorations. 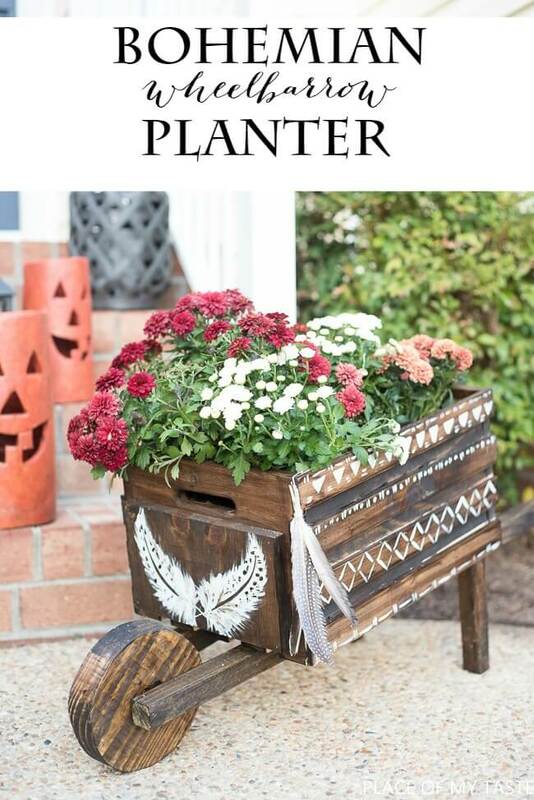 Pots and planters overflowing with bright flowers cover porches and yards all summer. 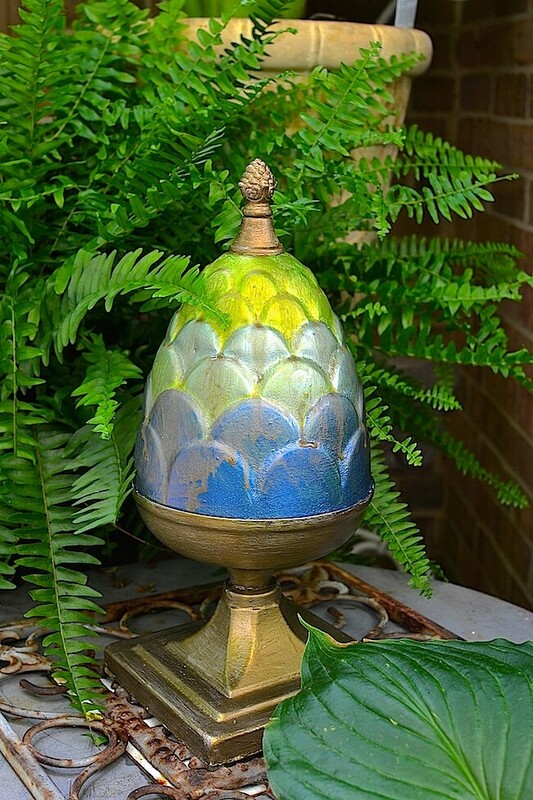 Use the nesting pots at your door to quaintly announce the house number. 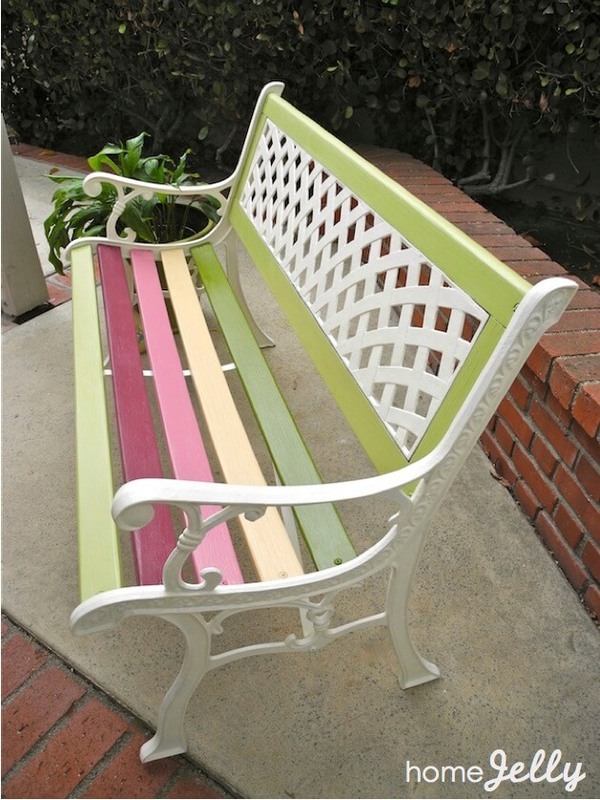 Chalk paint is wonderful for an antique finish. 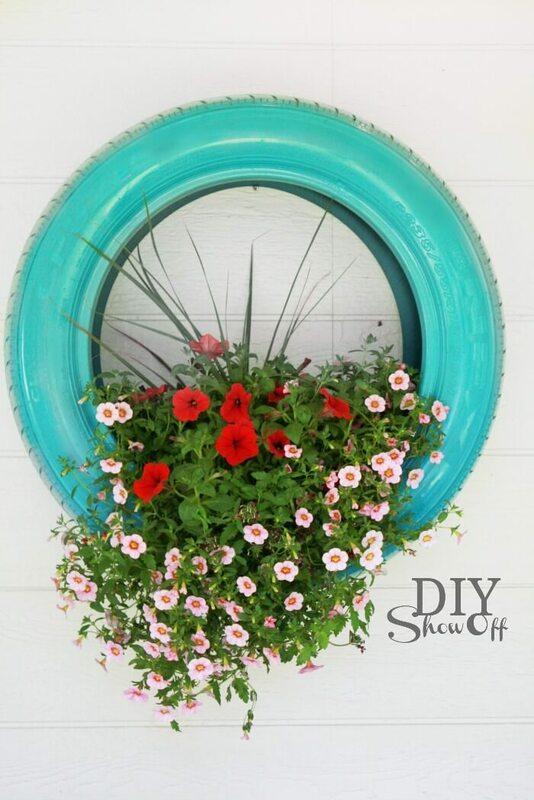 Or refit an old chandelier with flower pots and give your porch a cascading flower garden. 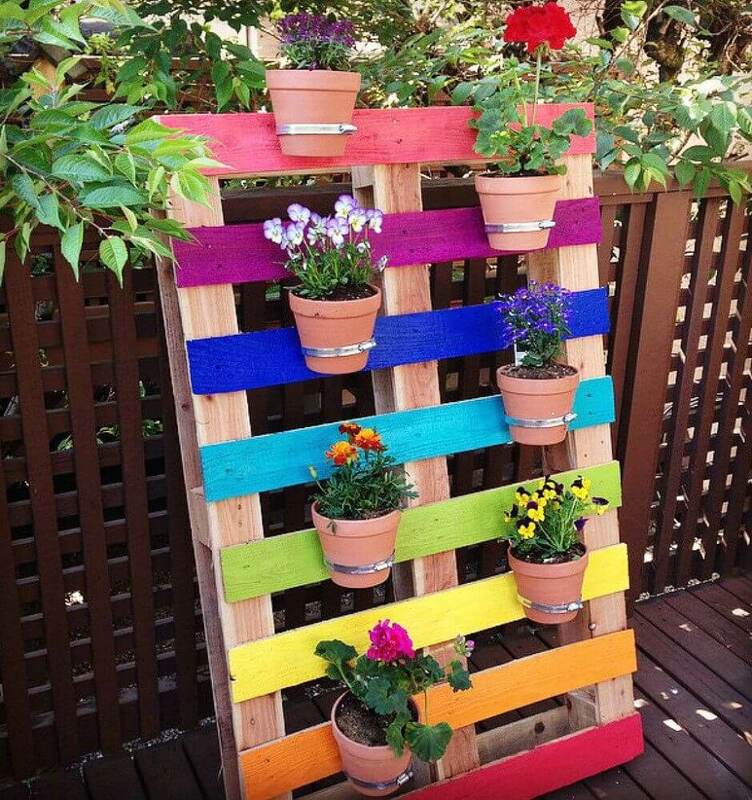 The rainbow-colored pallet provides a unique way to show off all your beautifully potted flowers. 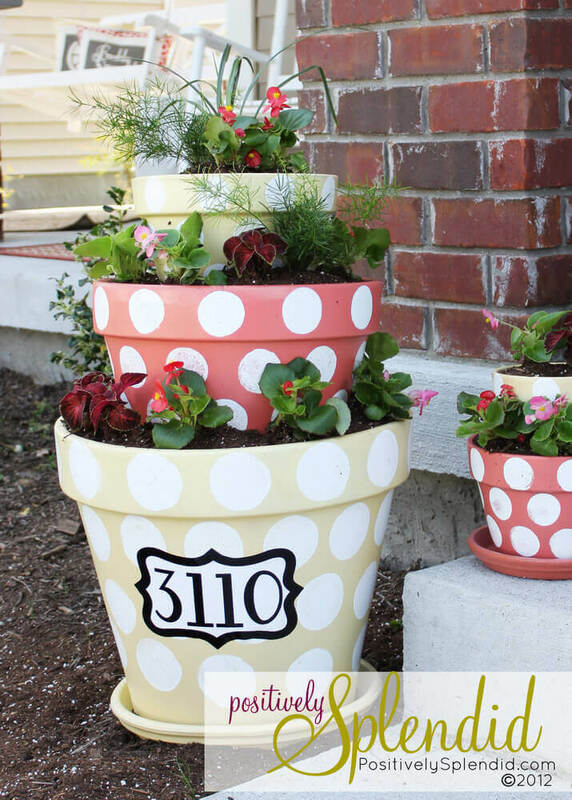 And the colored pots offers an unconventional but adorable twist to the use of the terra cotta pot! 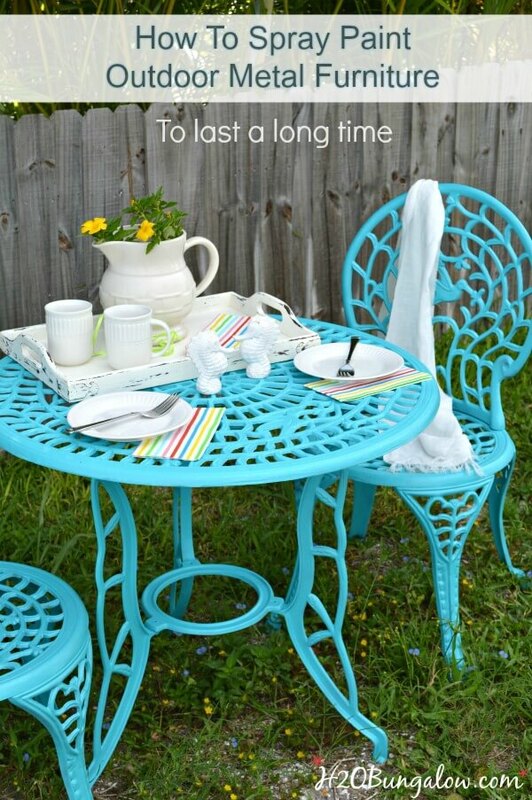 Out in the yard, the blue table for two makes a charming breakfast spot. 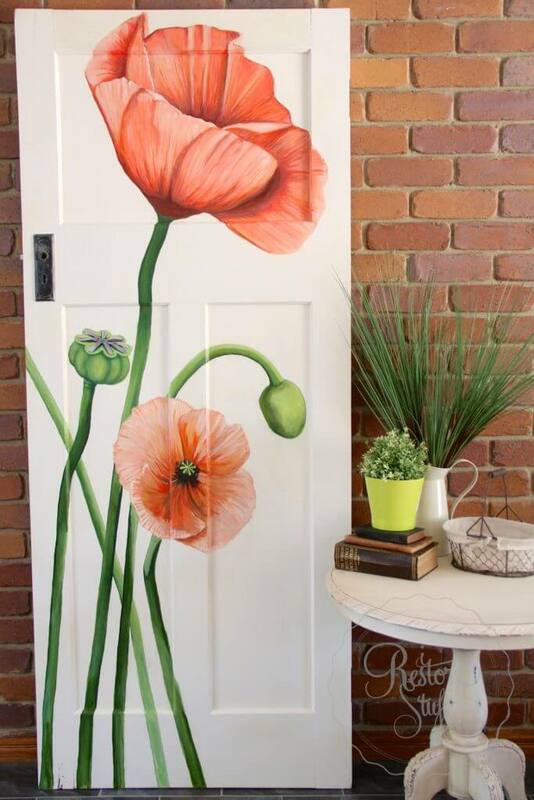 A brightly painted door in a sunshiny yellow or with large orange poppies makes a cheerful background for a friendly summer chat. 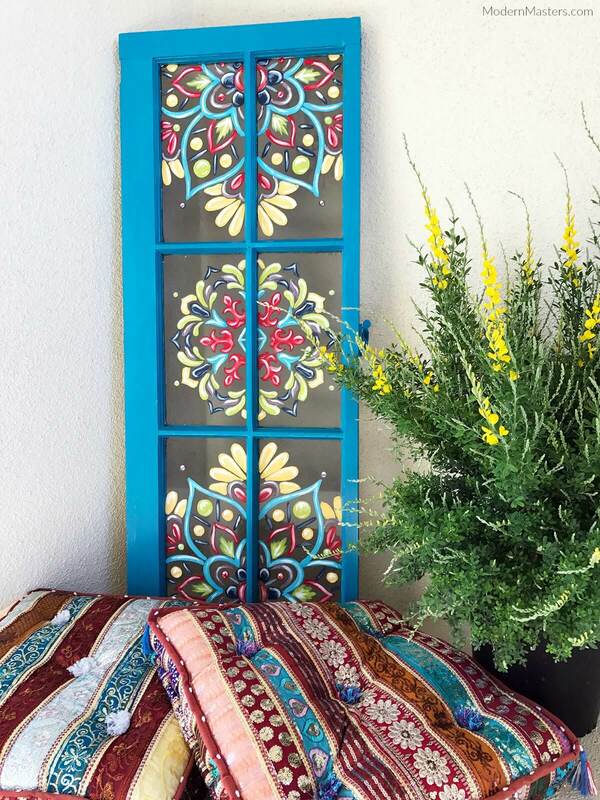 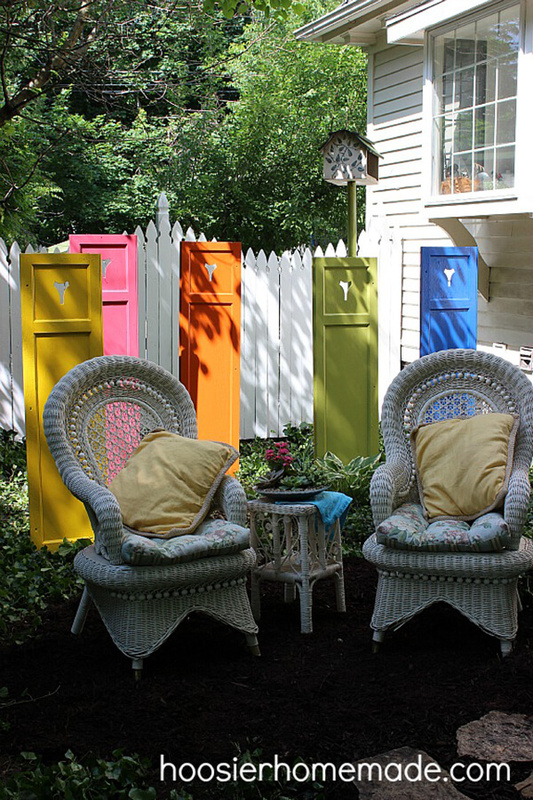 To shelter lawn chairs in your backyard, set up a collection of freestanding shutters in a variety of summer colors or choose a quiet spot under a shady tree for the candy-striped bench. 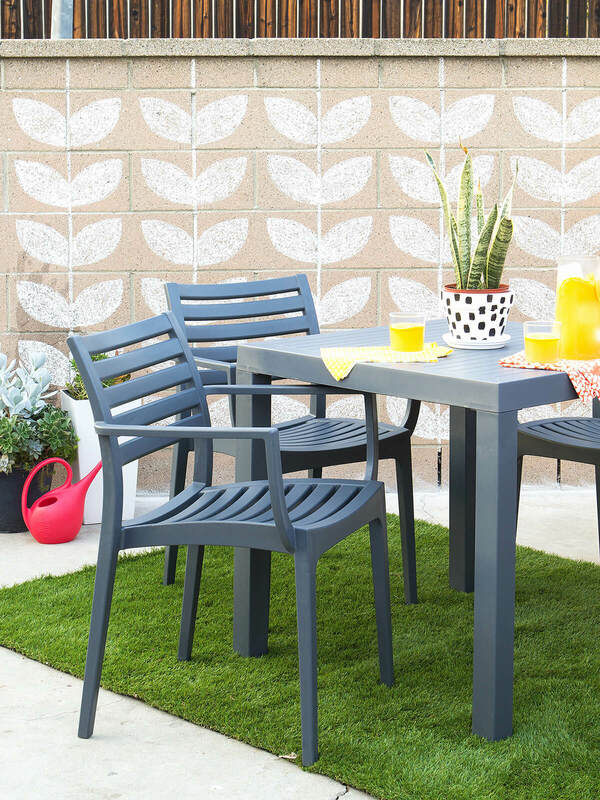 Define your spot with an initialed milk jug turned side table. 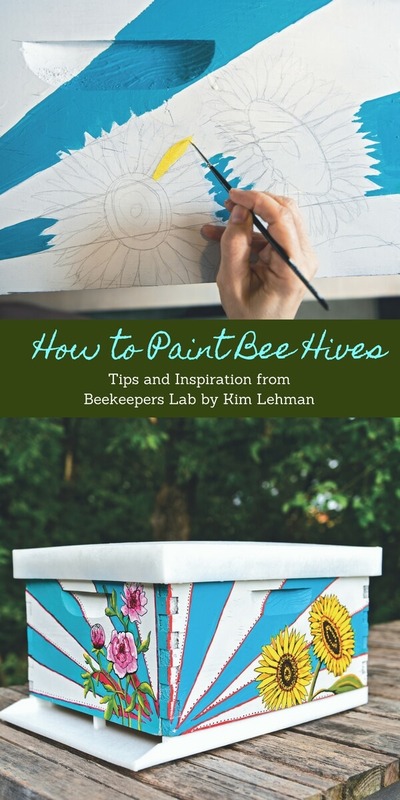 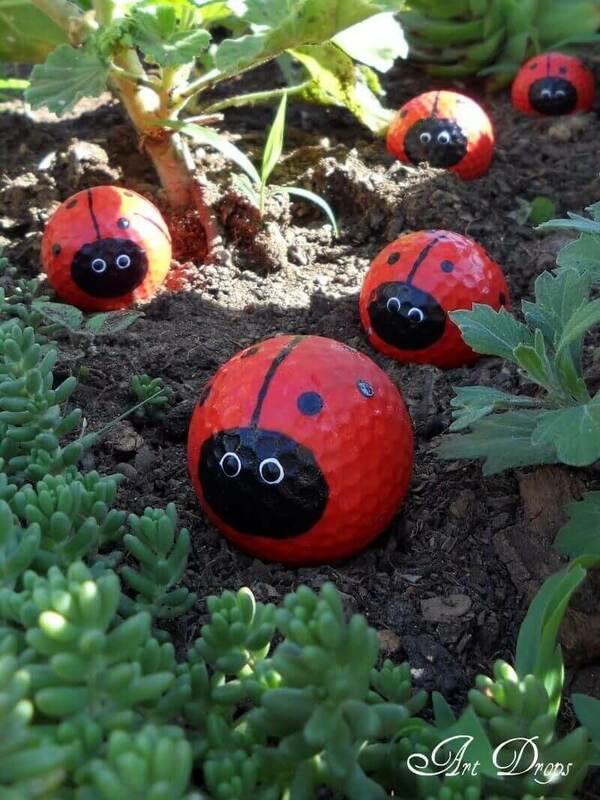 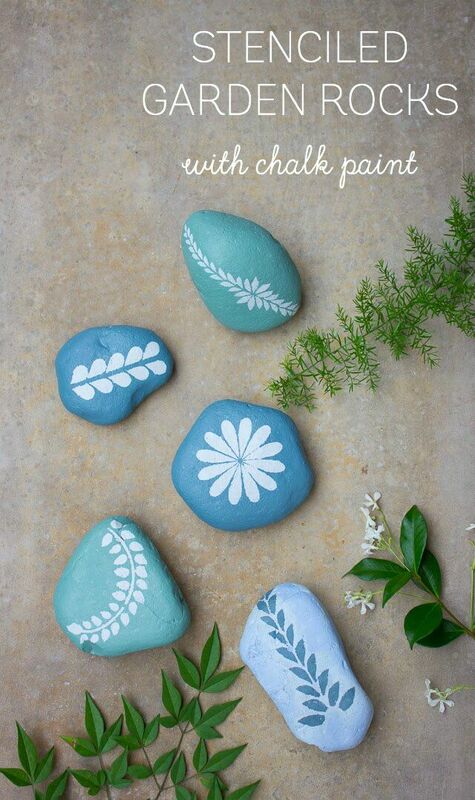 You will really want to try some DIY painted garden decorations that the kids will love. 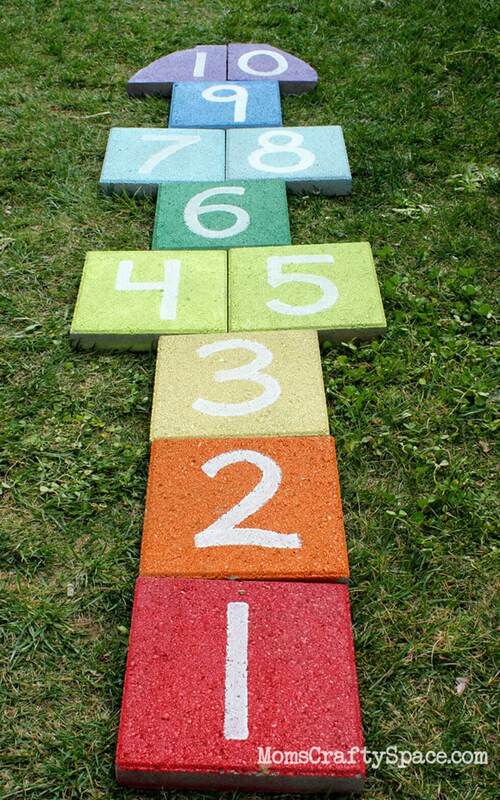 The rainbow hopscotch tiles are eye-catching for any child. 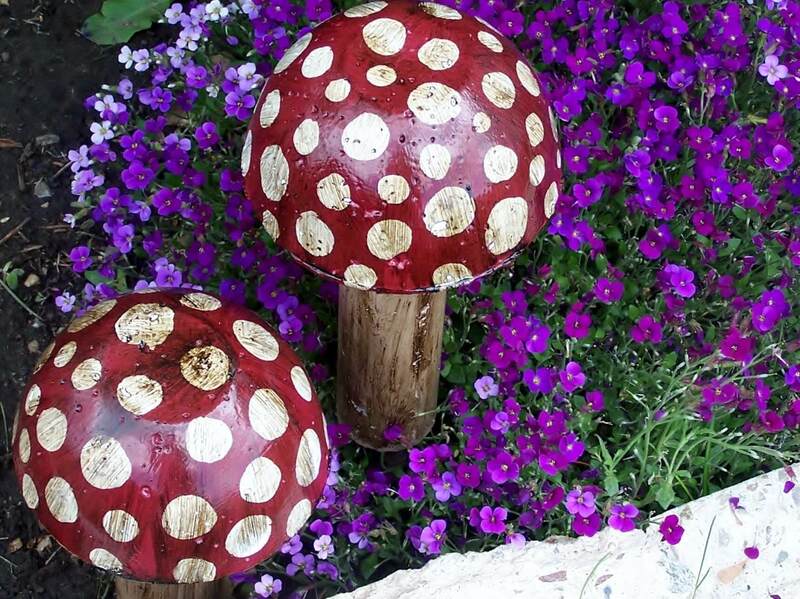 The polka dot mushrooms nestled in your garden lend an air of the little people along with the gnomes peeking from the flower pots sitting on your porch. 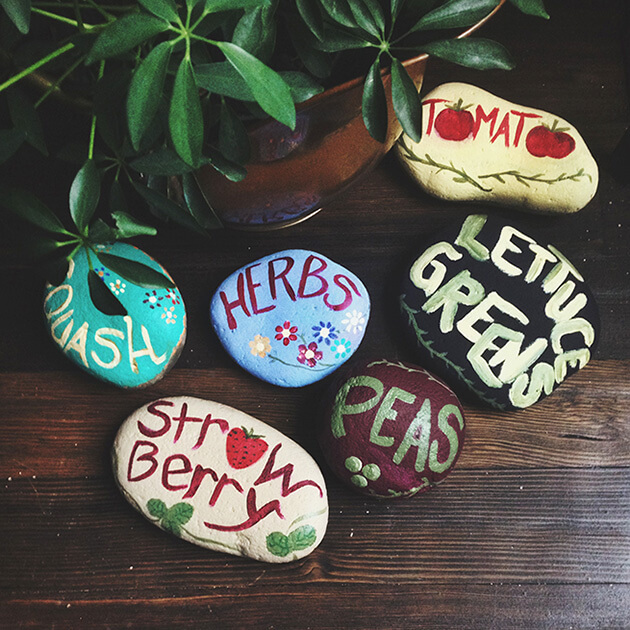 And the kids will love painting rocks markers for the plants in your garden or just to add spots of color to the yard. 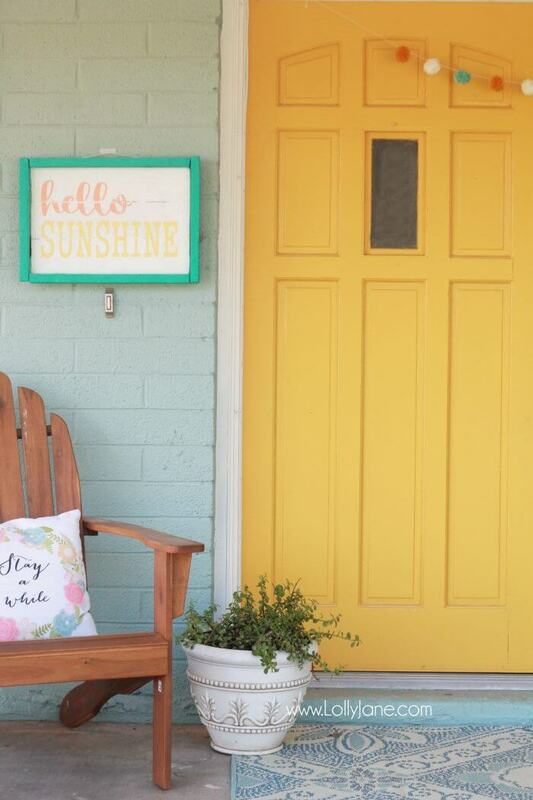 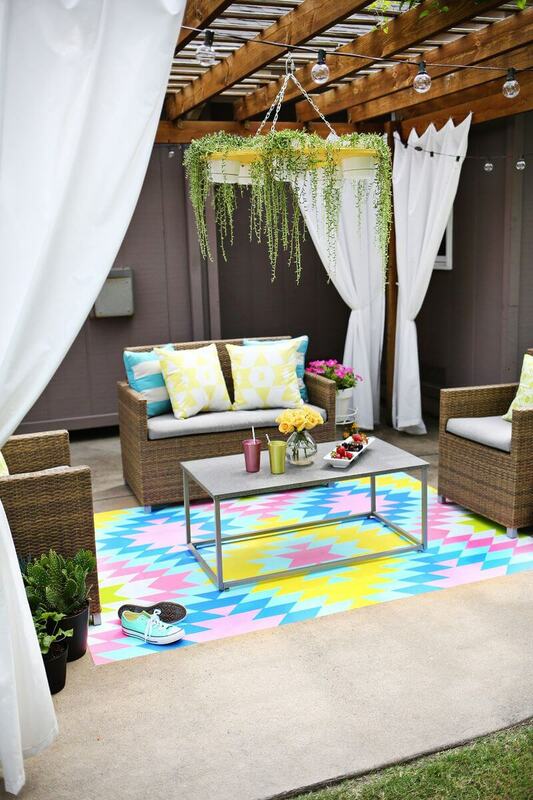 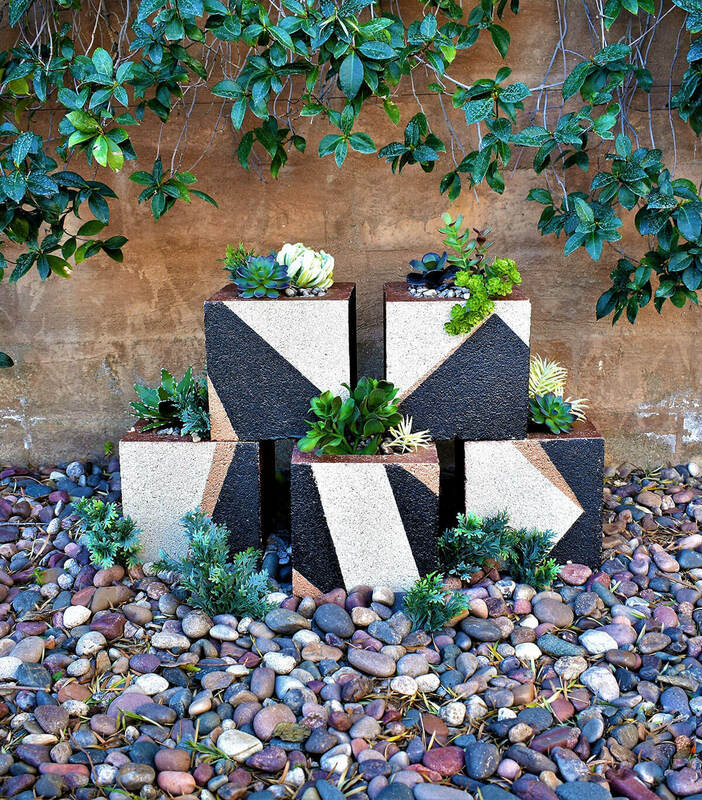 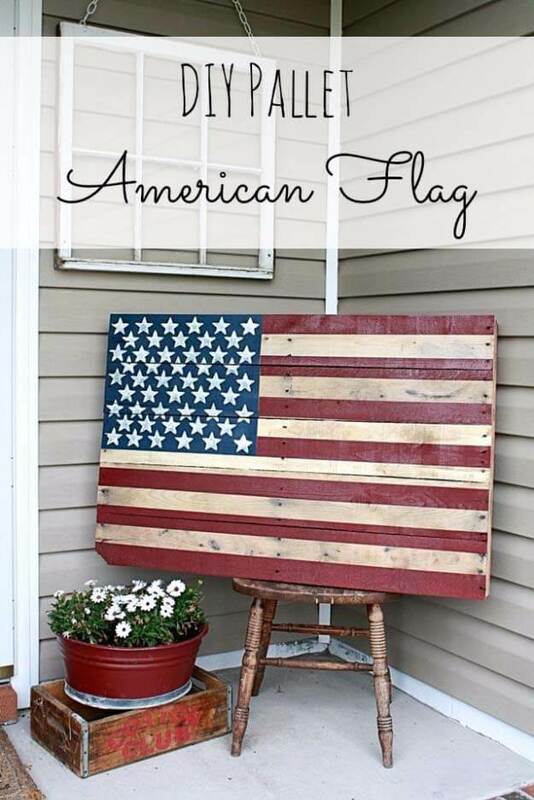 Any of these DIY painted garden decorations will definitely spruce up your backyard this summer.